Clicking on the ‘Start’ button, or ‘Start Simulation’ in the Start drop down menu, will begin a simulation run. The simulation progress control appears when one is running a simulation. • The estimated time at which the simulation run will finish. stops the simulation run. The results of the optimization completed up to that moment are then displayed in the Simulation Results window. 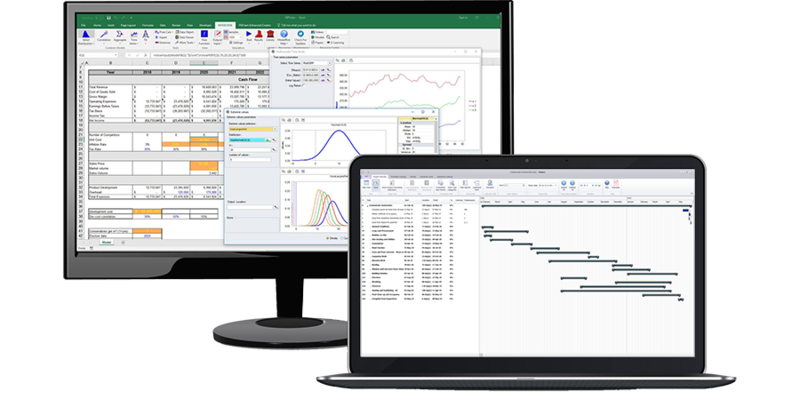 refreshes Excel with each sample, so you can see values being generated in real time. When clicked it toggles to which will then suppress the Excel refreshing.